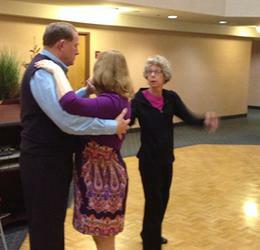 How to become better at any dance: cha cha, waltz, salsa, tango, swing, samba; ALL ballroom! Hello, my name is Clint Steele and on this page I am going to tell you what you can do to immediately dance better. Why do you not dance as well as you could? The fact is you can dance well. You’re no different from anyone else who dances well. If they can do it, then so can you. The real issue you need to deal with is working out what’s holding you back. You just need to take off the restraints that are artificially holding back your dance ability. Once you do, you will instantly see rapid improvement of your dance. Before I talk about the issues that you possibly have as a woman, let me tell you about the common things that I have found hold people back. Social dancing (that between two people) requires the development of a number of attributes to be good. You need to have good musicality, you need to have good movement in your body, you need to be able sense your partner and you need to have a good memory of figures. All these different types of skills coming together in one activity is what makes social dancing one of the best ways to exercise your brain and fight Alzheimer ’s. If dancing is that good for your brain, then it’s probably going to be hard work at times. And you probably already know that is. However, when you break social dance down into parts and work on improving each part, it becomes much easier to master. Think about the specifics issues that you have with dance and work on improving each of them in turn. 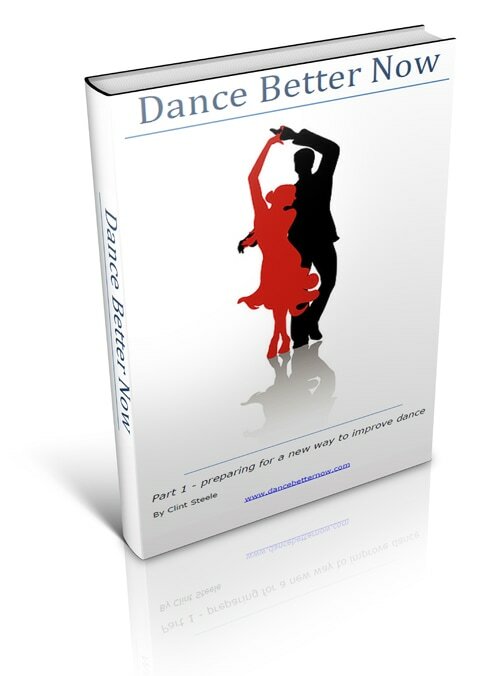 If you need advice on how to work out the issues and how to improve them, then fill out the form below and I will send you a free e-book on how you can improve your partner dancing ability through attribute development. This is a lot like what I was just talking about above. Because there is so much to dance, it can be hard for you to work out what it is that’s actually holding you back. Sometimes you will think that you can’t move fast, but in reality you can’t recall the figure. Maybe it seems like you have no timing, but you’re concentrating so much on moving well that you have stopped paying attention to the music. The best way to know what’s holding you back is to know what all the different elements to social dancing are and consider each in turn as a possible culprit. Sign up to my e-newsletter (to the right), and I will send you a free e-book that break social dance into the key attributes so that you can better understand you own dance ability and what you can work on to become a better dancer straight away. This is one of the most common mistakes that people all over the world make when learning something new. And dance is no different. You think that if you just practice more or grit your teeth while practicing, then you will soon get there. If you’ve been practicing the same way for 3 months and seen no improvement, then another 3 months of the same practice will probably do nothing. It’s time to try a different type of practice. Remember the kids back at school who seemed really smart and always got good marks? I can tell you now that they probably weren’t that smart. They probably were just good at finding the best ways to practice and study to become good at whatever they were being tested on. The same is true of dance. All you need to know is the best way to practice and you will instantly start dancing well. Take a read of my free e-book and I will share more practice techniques with you about how to practice for better dance. Just sign up below. It can be difficult at times being a student of social dance. It can be really hard being a teacher too. One of the hardest things to do as a teacher of any sort is understanding why someone doesn’t understand something that came to you so easily. The fact is that your teacher might not understand how hard it is for you to do something. They might not realise that the way they teach doesn’t suit the way you learn. Perhaps the way they explain things doesn’t fit with the way you think about the world. We are all different, and until we develop an ability to read minds, your teacher will not be able to work out how to best teach you without some extra help. You need to take responsibility for your learning. Once you view your teacher as tool that you can use to improve your dancing, and not be a passive piece of clay that they are to mold, you will instantly start to dance better. Let me tell you more about how you can manage your teacher so that you can learn social dance faster. Sign up to the right, and I will send you a free e-book with some of the best social dance learning advice around. The most obvious issue that men would have would be with leading. Some women say they want a strong lead so you push harder, and then they say a gentle lead so you it softly. And then they don’t seem happy with that. That’s for two reasons. One, women often use the word ‘strong’ in a different sense than we men often do. Two, the lead a woman needs as she improves in dance changes. At the start women are allowed to expect to be pushed and they think that’s OK. However, as they progress, the lead should be more of a signal, and they move without being pushed. When women say ‘strong’ in the context of dance they usually mean ‘decisive’. When you’re leading make sure you have a clear vision of where you want to go and then lead for that. Also, work out what lead she needs and give her that. The first of these two pieces of advice (being decisive was tricky for me). But working out what each woman needed, really taxed my ability to extend my awareness so that I could sense a woman’s body and her reactions to my attempted leads. Not to worry, once you start working on it, you will get much better at it. And you will naturally start working on it now because you’re aware of it. Leading is not the only issue that men have. Regardless of whether you’re a woman or a man, you might face other challenges. Dance requires an able body and ease of movement. If you have started dance later in life (after 25 really), then you might find that you need to work on your physicality specifically. We weren’t all born with the gift of perfect rhythm. If you don’t have it, and can’t keep the beat, then dance is going to be quite the challenge. I can still remember when I found out that timing was not enough. I actually had to express the music too. That’s what good dancers do. Many of us all of a sudden take dance so seriously or get so stressed about it that we forget to enjoy it. When you get to that stage it’s hard to get anything else right. And you have to wonder why you’re even doing it. Unless you work on all of those things, your dance will not be as good as it could be. Fortunately, they can all be improved. Fill out the form to the right and I will show you how. What issues do women have with men on the dance floor? I have been researching methods that can help dance students like you improve their dance for years now. During that time I have asked many people about the issues they have. It’s always good to work out what I should be researching. On one occasion I surveyed all the women who had subscribed to my e-newsletter. I asked them what issues they had with women on the dance floor. What was most striking was that there were really just two major issues. Leading was one and I just gave you something to think about above. The other was etiquette. Shower beforehand. You might think your smell fine, but 20% of women disagree. Share the love. Women really do not like men playing favourites. There were other general issues, but they all related to simply being a better dancer. Just so you know – I surveyed men about women as well. Dancing is not just about looking for a good partner. It’s about being a good one. If you want to learn even more about being a good partner, then subscribe below for more information on how to dance well. How do you overcome these problems and become a better dancer? Who is this Clint Steele and why should I listen to him? I have been talking to you a lot about what you can do to become a better student of social dance. I probably should tell you a bit more about myself so that you know I am worth listening to. I am a social dancer. I have done medals and been studio comp’s so I know a lot about the pressures of dancing well under pressure. However, for me dance is about the social side. Nevertheless, regardless of what you’re into dance for – social, sports or performance – there are still the same issues of learning. And learning is what I know a lot about. As well as being a social dancer I am a teacher at university and one or my areas of research is teaching and learning not just for knowledge, but for skill development too. When I started dancing, I did some things well and some things not so well. This prompted me to start using my skills in education and development to look for ways to understand why I could do some things well and not others. It also prompted me to look for ways to improve dance ability as fast as possible. 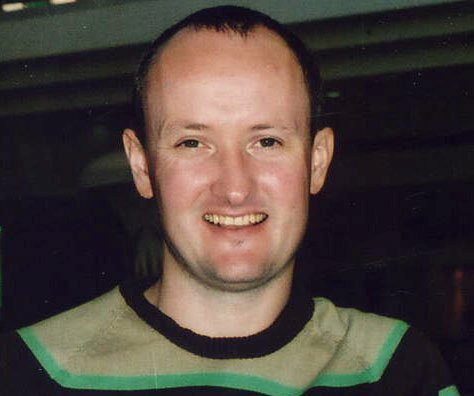 I can be an impatient man at times, as well as lazy, so I was keen to understand this as best I could. I researched this for years and came up with a collection of exercises that you can use to improve your latent dance ability through attribute development. I will cover some of them here, but if you want to get a summary of what I have found, then fill out the form below; I will send you a free e-book with a collection of things you can do to become a better dancer right now. If you develop each of these attributes, then you can’t help but become a better dancer. Just remember, that musicality is much more than staying in time. You need to express the music. When you listen to music from now on, focus on the feelings that it brings about in you. Then think about how you can express those feelings in your posture and movement. You don’t want to waste time in a lesson trying to get your body to move the right way. You want your body to move the way you want easily and all you need to do is be told what to do. Then you can just focus on the next figure that you’re learning or perfecting the current one. If you find that your body is not as flexible or free moving as you wish, then think about a yoga class, Pilates or aerobics. Don’t waste a dance lesson by just doing physical exercises made to look like dance. That is not the way to become a better dancer. We all have our own way of learning. You need to understand this so that you can practice and develop quickly. However, you also need to consider if perhaps you’re not approaching dance the right way. Think about your learning. Are you thinking about dance the right way? Try other approaches and see if that helps. Maybe you need focus more on your body, maybe you need to focus on the goal instead, maybe you need to relax and just let your body do it. You want the right approach at the right time. Is dance sexist? Some people think it is. I certainly think it’s very traditional when it comes to gender roles, but I would not say that it’s sexist. How do you view it and are you comfortable with it? Think about how you want to view dance and what is says about the relationship between the sexes within the context of the rest of your life. Become comfortable with this. Dance will be near impossible, and I have seen many let it go for that reason, if you can’t feel comfortable with this aspect of it. Just remember, you don’t need to be the way you are on the dance floor in every other aspect of your life. A lack of confidence can be a really killer of dance ability. The reason why dance can cause such issues is that we worry about what other people think. It might be people watching or it might be your dance partner. There’s always at least one other person when it comes to social dancing. We worry what other people will think when in fact other people are probably more worried about what you think of them. Confidence in dance is a real paradox, but a real problem still. You can overcome this with practice – everything becomes less of an issue when you do it a lot – but until that time it can restrict your ability to dance well when you really want to. If you’re not prepared to just stick it out, and overcome the issue with lots of practice then read below to learn more about what you can do. What should you do now to become a better dancer? Like I said above, I have collected a number of exercises and pieces of information about how you can become a better dance. I can show you how to improve your timing, your movement, your confidence and your ability to learn dance fast. Simply fill out the form to the right and I will tell you all about it in a free e-book dedicated to developing attributes so that you can dance better now. Imagine how you would feel knowing exactly what to do to overcome any problem you might face as you become a better dancer. No more restrictions to your progress. You will feel confident that you will be able to dance as well as you want. Hey Clint, I'm glad to be subscribed to you and found your first ebook quite useful indeed. I have just bought part 2 of this ebook. Hi Clint. I have been subscribed to your email for years and have your e-books. I like how you focus on helping students learn. I have found your information really helpful. Hello Clint, your e-book, Dance Better Now is extremely enlightening. It offers many valuable suggestions to become a better dancer. It’s worth reading not just once but two or three times. I have learned a great detail from you Clint, and when I have questions, you’re eager to answer them in an understandable way. *Dance can have many forms. However, I am mostly interested in social partner dancing. No matter the dance you’re interested in (how to waltz, how to cha cha, how to salsa, how to tango, how to samba, how to swing dance, how to bachada, how to mambo, how to ballroom dance, how to Latin dance or any other dance) the approach I use will show you the fastest way to master it.